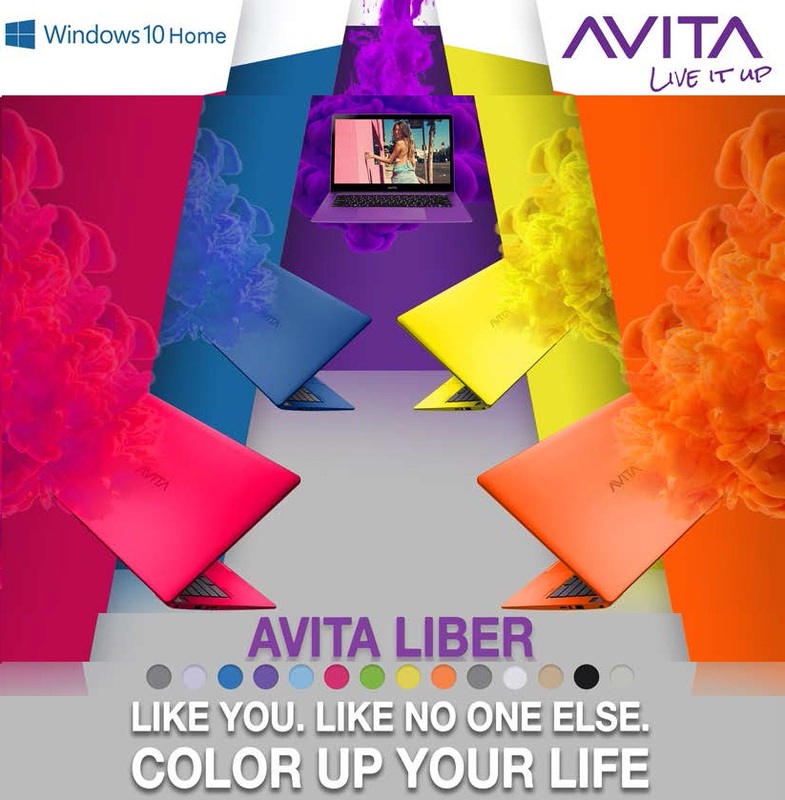 Avita a renowned tech brand from the house of Nexstgo Company Limited has launched a brand new laptop / notebook series in different vibrant colors. 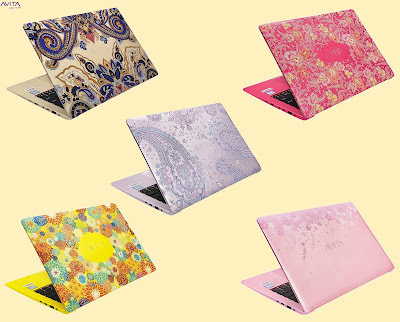 It provides laptop or notebook a fashionable and attractive looks. All these laptops are looking great with slim - sleek and lightweight body. 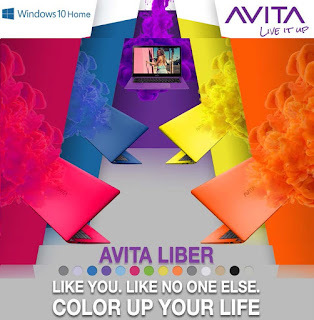 Avita’s new Liber series laptops comes with 1080p IPS Full High Definition resolution display in three different sizes. All these laptops are having a strong Aluminum built chasis. These laptops comes with latest pre-installed Microsoft Windows 10 Home Operating System. 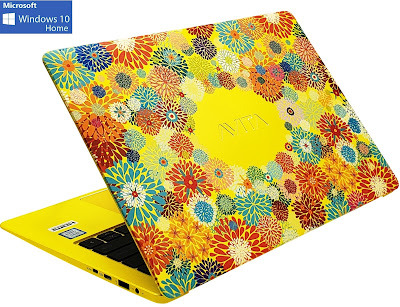 All notebooks are powered with Intel Pentium N and Intel Core-i Series Processor with Intel’s onboard HD Graphics For Graphical Processing, Smooth Gaming and Video streaming with any lag. This series is launched with 4GB and 8GB DDR3 series RAM that is coupled with 256GB and 512GB SSD (Super Speed Disk) Storage capcity. 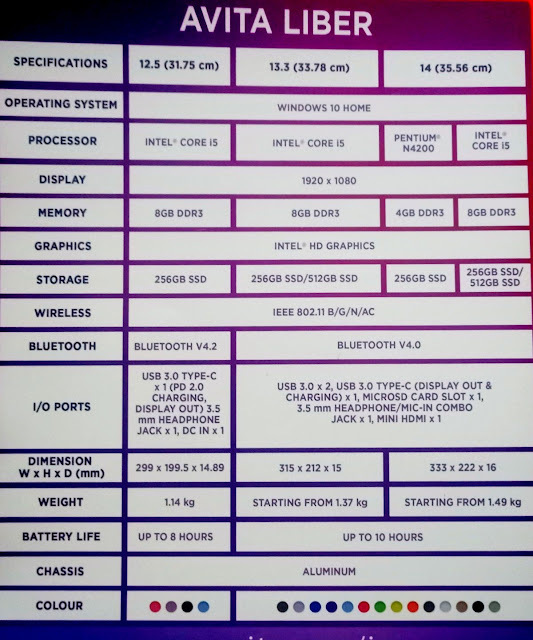 For Network and connectivity it includes IEEE 802.11 B/G/N/AC Wireless and Bluetooth v4.0 and v4.2 and it also includes USB Type-C 3.0 – USB 2.0, for Audio Jack 3.5mm slot, 1 DC port for charging, MicroSD Card Slot is also given in some of the notebooks, some of the audio ports are combo for Headphones and MIC. Mini HDMI port is also available in selected models. For Battery Life it packs with 8hrs to 10hrs Battery backup. These laptops weighs from 1.14Kg to 1.49Kg. with different dimension sizes. Company is providing different colors for different color lovers to choose one of their choice out of this colorful range. Its available on Amazon, Flipkart, Tata Cliq and Paytm Mall, and many other leading online/ offline portals including CROMA, Vivek's, Alfa, Dhruv Sales and sale will start from End of January, 2019.